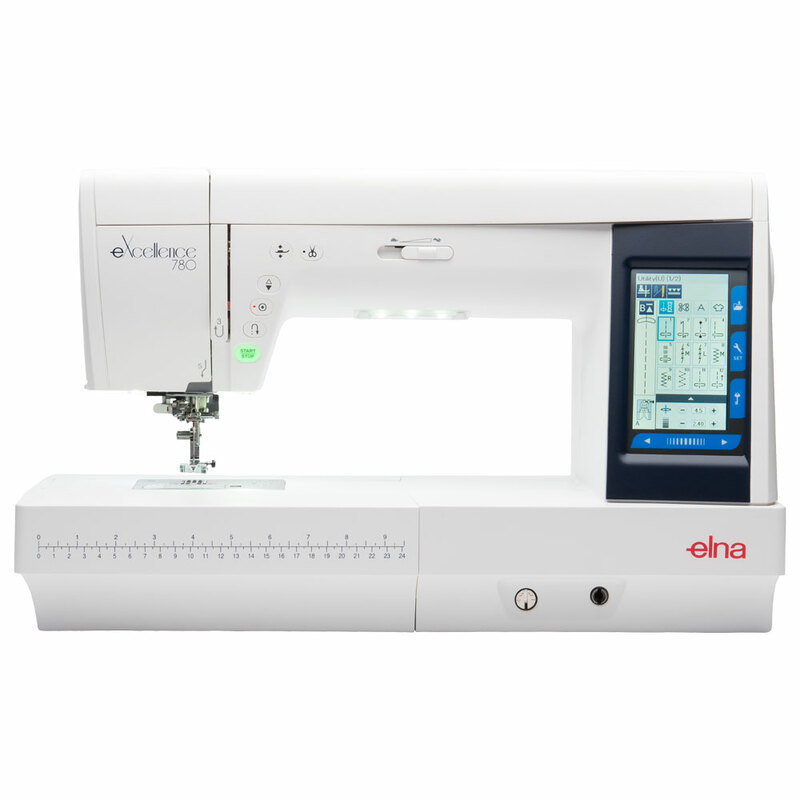 For the beginner or the experienced seamstress, the Innov-is NV1100 machine has a great range of features that allow you to be creative with your projects. 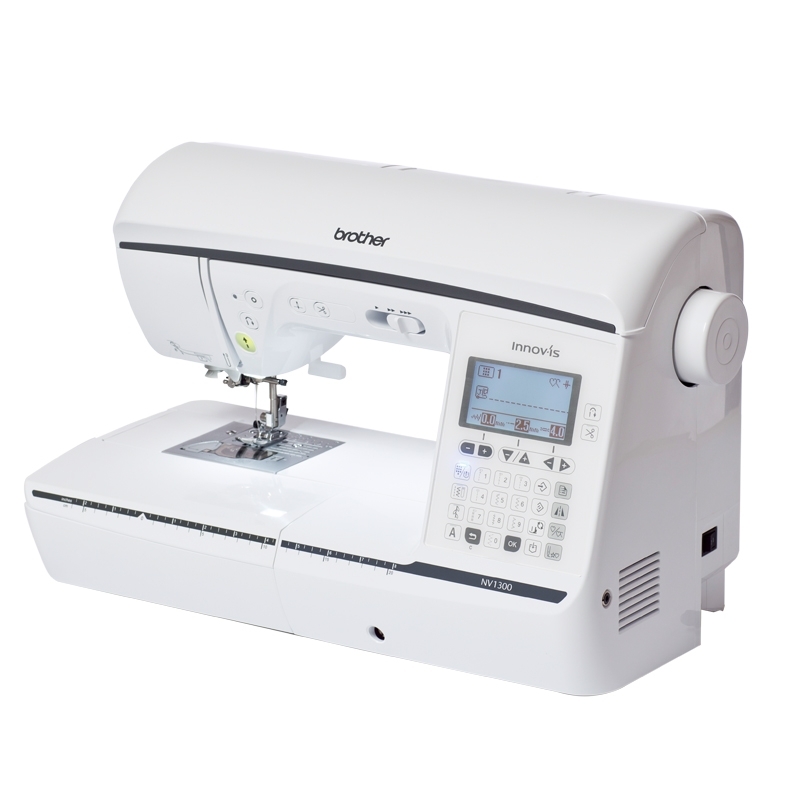 This easy to use computerised sewing and quilting machine has 180 built-in stitches plus the Brother exclusive My Custom Stitch feature. 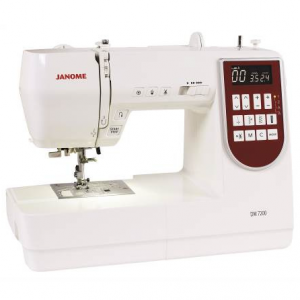 With a large 8.3”workspace, improved sewing with longer feed dogs and the included zigzag foot, this machine is ideal for making, repairing or altering clothes and home furnishings. The NV1100 offers convenience, flexibility and quality, all at an affordable price you’ll be sure to love! 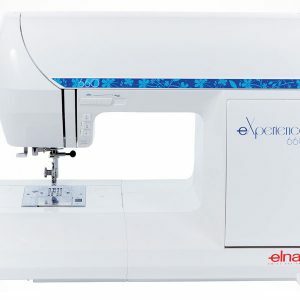 With sophisticated features in a compact package, the Innov-is NV1800Q computerised sewing and quilting machine allows your imagination to run free. 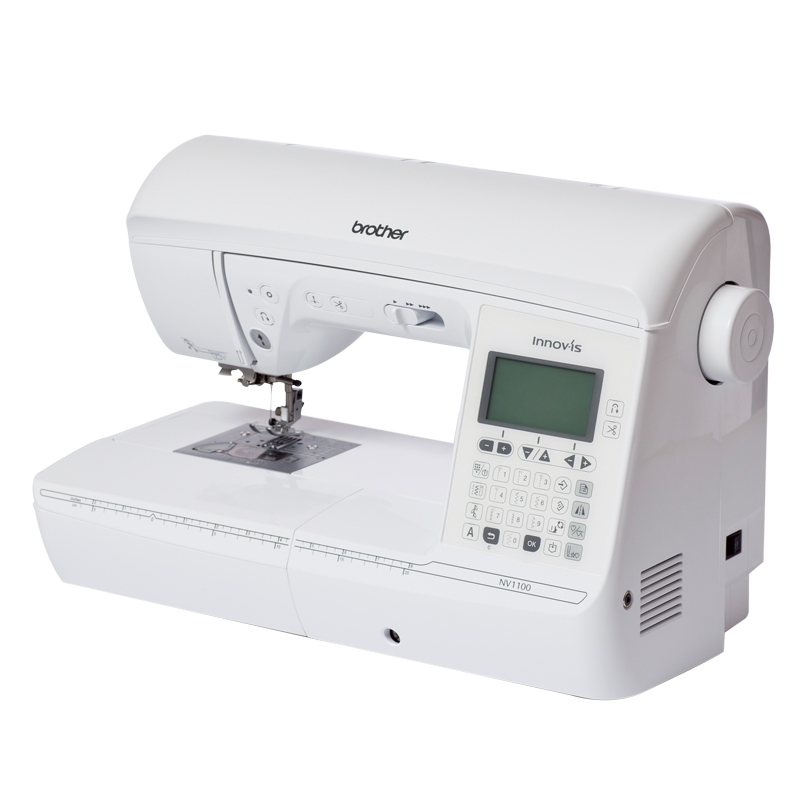 Take advantage of the 290 built-in stitches or make your own with the Brother exclusive My Custom Stitch feature. Whether you’re sewing silk or denim, the Automatic Height Adjuster (AHA) feature will help deliver smooth, even stitches every time. Quilters will delight in the large workspace and range of accessories including a wide table that make quilting fun and easy. You’ll also love the Pivot function, which allows you to keep your hands free to rotate your fabric for virtually perfect corners. Feel inspired to tackle projects you never thought were possible with the Innov-is NV1800Q. Unlimited possibilities for your creativity! 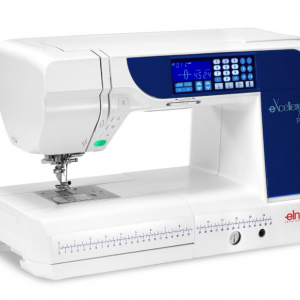 The elna eXcellence 780 is smooth, versatile and comprehensive. 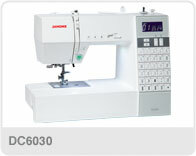 Our eXcellence 780 is a computerized sewing machine offering outstanding quality and an astonishing number of high-level features. 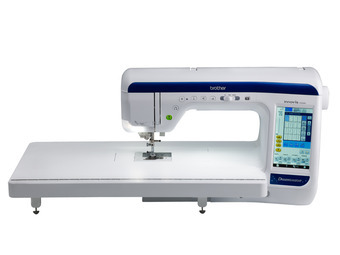 Countless functions and intuitive operation simplify the sewing process helping you save time and increasing your efficiency. Fun for everyone with the new eXperience 520 and eXperience 540. 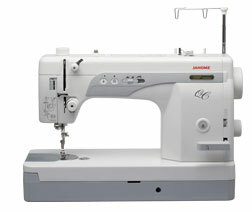 These versatile machines can handle any fabric – no matter how tough. So start right here, right now, and create your own personalized wardrobe. 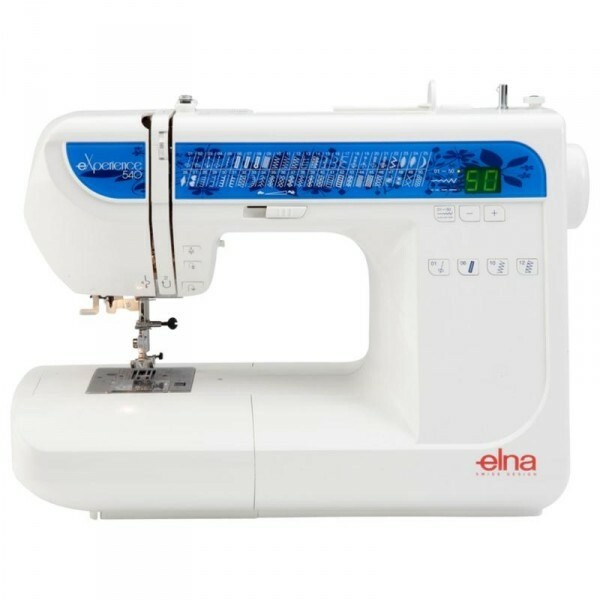 Customize it, recycle it, transform it any way you want; your Elna adapts to every mood, every style. 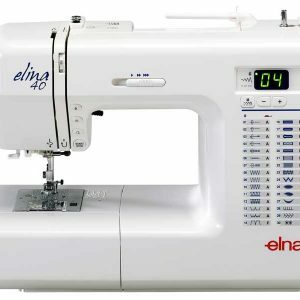 Elna’s all-new top-of-the-line sewing, quilting and embroidery machine, the new eXpressive 920 will help you for every tasks. 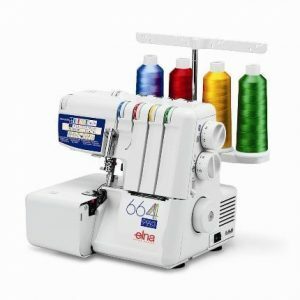 Whether designers enjoy quilting, embroidering, sewing home décor and garments or a combination of everything, this sewing and embroidery machine is the perfect tool for success. 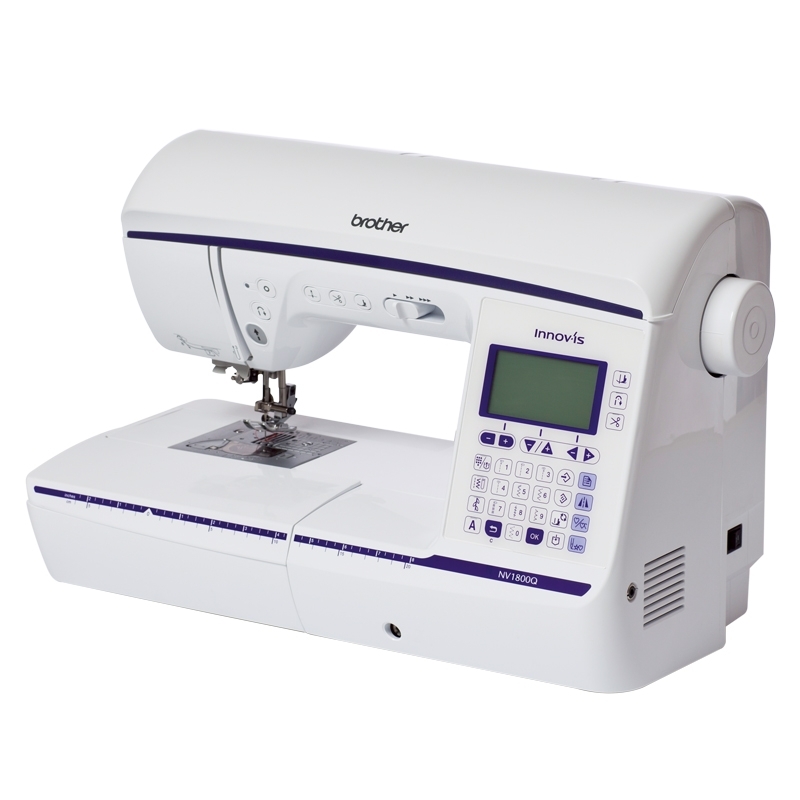 Create embroidery like never before by utilizing this machine’s 350 built-in embroidery designs, 10 fonts for monogramming and a 2 & 3 letters monogramming function. 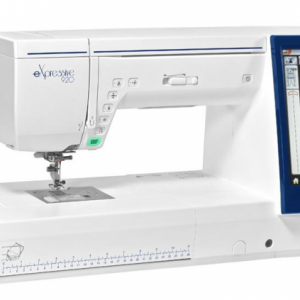 With a maximum hoop size of 9.1″ x 11.8″ / 230 x 300 mm and embroidery speed of 1,000 stitch per minute, the new eXpressive 920 allows for larger and faster embroidery work. When you create with fabric and thread, every project is a journey. Where you end up and how you get there is all up to you… and your machine. 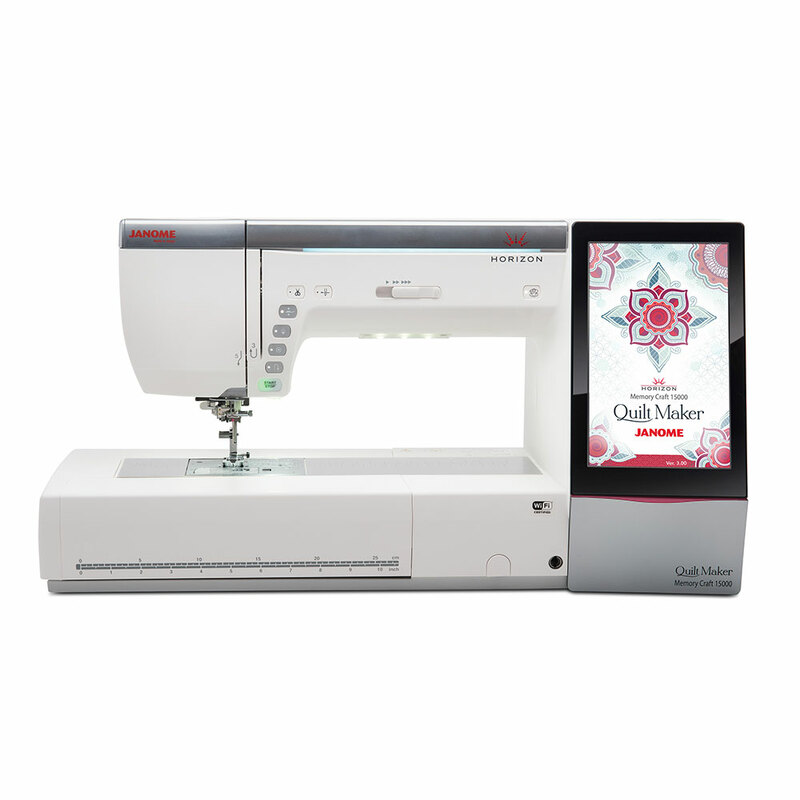 With wireless connectivity via your iPad or PC to the Horizon Quilt Maker MC15000 you’ll be there in no time…with 6 Janome APP’s, Horizon Link Suite software and a large quantity of standard feet and accessories. The work-area size is fantastic, plenty of bed space for projects of all sizes. Plus, the Quilt Maker version has a ruler foot for Quilt Ruler work. This makes the machine more versatile in its features and capabilities, you are able to create so much more. The Horizon MC15000 comes standard with our largest hoop and has the largest colour touch screen we’ve ever made! No matter which direction you head, the new Horizon MC15000 can take you there. 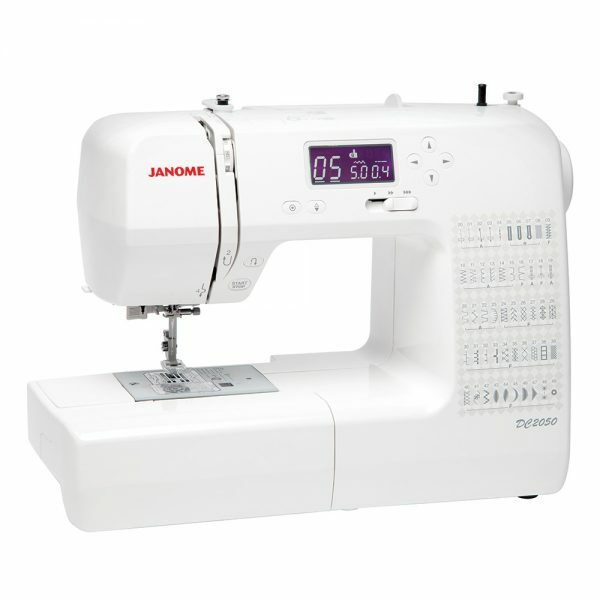 Fast speeds and smart design make the Janome 1600P-QC the perfect machine for sewing and quilting! 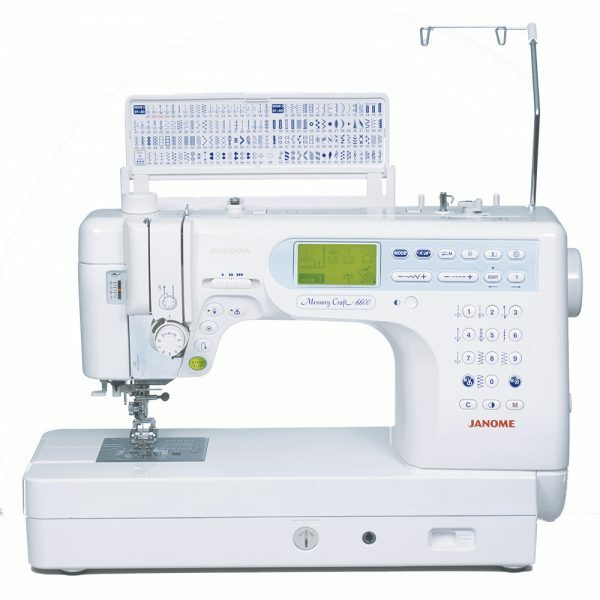 The Janome DC6030 is a really easy to use, fully computerised sewing machine and yet it is packed with so many powerful features. 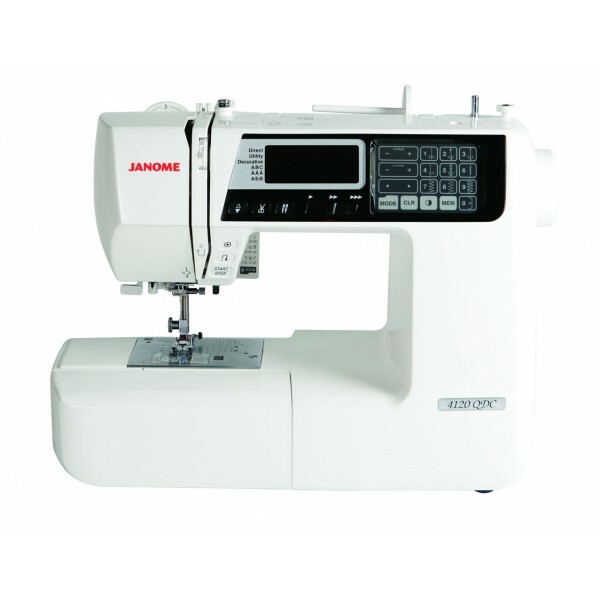 The Janome DM7200 is an easy to use, fully computerised sewing machine and yet it is packed with so many great features. Direct stitch selection keys of your everyday stitches plus 14 one-step buttonholes. 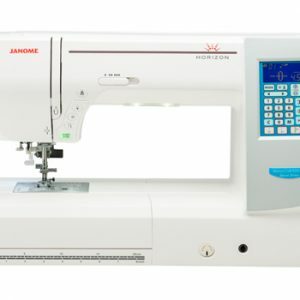 The LCD screen shows selected stitch, recommended foot, default stitch width and length which you can change to suit your requirements. 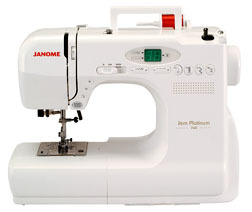 The Janome Jem Platinum 760 contains all the great features of a full-size machine, with a smaller model’s price and efficiency.